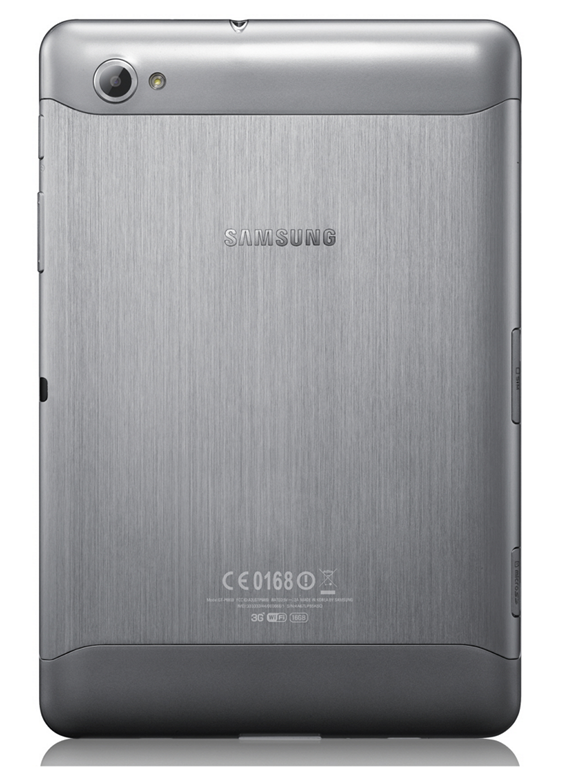 Tag Archive | "samsung galaxy tab"
The Samsung Galaxy Tab 7.7 is one of the most hotly anticipated devices currently in the tablet sector. 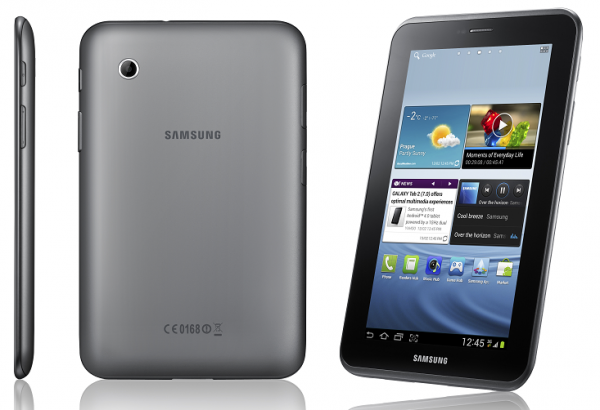 Despite being announced way back at the beginning of September, it is still not officially available; pricing and release date info about the Galaxy Tab 7.7 has been quite hard to come by. During the IFA show where it was announced, Samsung literally removed the Galaxy Tab 7.7 from their displays; it’s been theorized that this had something to do with the Apple/Samsung lawsuit, but that’s not ever been confirmed as far as I’m aware. 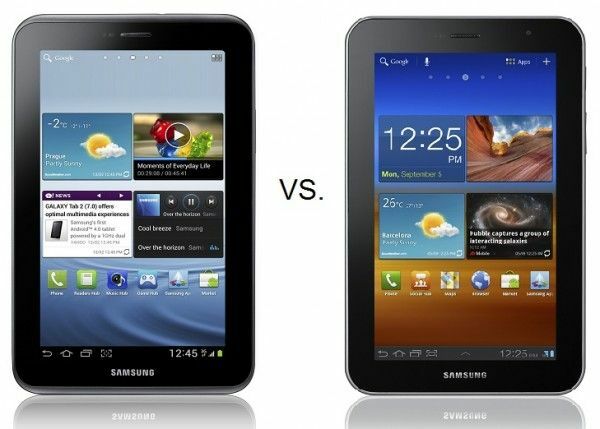 Presumably, the reason that the device was removed from IFA is the same reason why the Galaxy Tab 7.7 seems to have been in hiding ever since its initial unveiling. In addition to the video, Ritchie has a much more thorough inspection of the Galaxy Tab 7.7, along with some great photos, over at his blog. Go check it out! 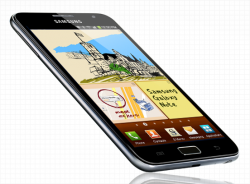 The Samsung Galaxy Tab 7 Plus has taken us on a serious roller coaster ride. A permutation of the device was announced almost a full year ago at CES 2011. This improved 4G-equipped Galaxy Tab 7 doesn’t seem like it will ever make it to market, but from its ashes rose the device that we now know as the Galaxy Tab 7 Plus. 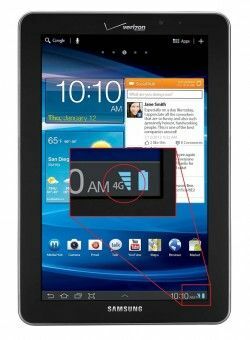 Instead of a small bump in processor speed, an improved camera, and 4G LTE, Samsung ended up slapping in a dual-core CPU, Honeycomb 3.2 with Touch-Wiz, Bluetooth 3.0, and an IR blaster. 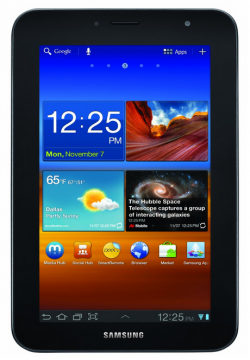 The Galaxy Tab 7 Plus starts at $399 for 16GB of storage, and naturally jumps to $499 for a 32GB version. 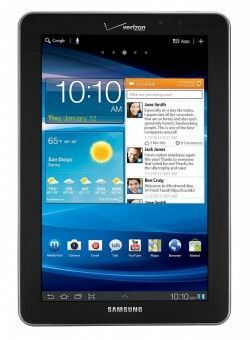 You can actually buy the Galaxy Tab 7 Plus as of today from Amazon. 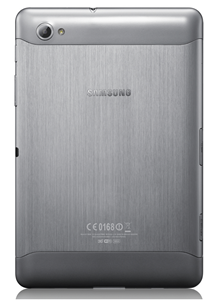 Samsung has an official product page for the Galaxy Tab 7 Plus, but it doesn’t seem to have the device for direct sale just yet. 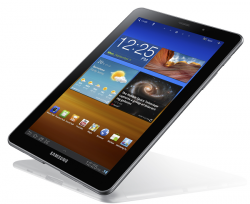 It seems that Samsung is positioning the Galaxy Tab 7 Plus as an economy version of the anticipated Galaxy Tab 7.7. Whatever the case, there are a lot of happy original Galaxy Tab 7 owners that I know will be happy to trade up to the Galaxy Tab 7 Plus for the Honeycomb and processor improvements. 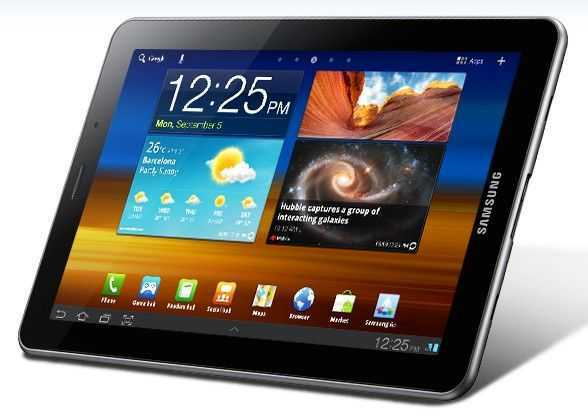 As a bonus, the Galaxy Tab 7 Plus is only one of two Android tablets on the market that include an IR blaster which allows the tablet to be used as a smart remote. This also isn’t just new components stuffed into an old box. 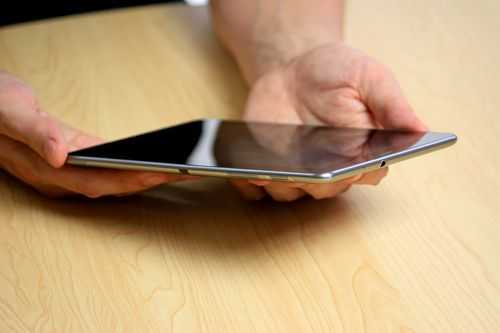 The Galaxy Tab 7 Plus has a redesigned chassis that’s thinner and more curvy than the original. The good: The Samsung Galaxy Tab 7.0 Plus has a sleek design, a high-quality screen, and well-integrated smart remote-control functionality through the Peel app. The bad: Peel [the remote app] has limited usefulness if you don’t have cable or satellite, and the tablet’s screen brightness is comparatively low. 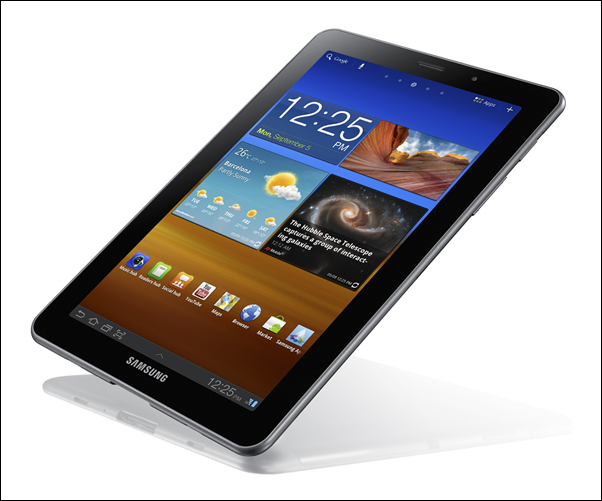 The bottom line: The Samsung Galaxy Tab 7.0 Plus is pretty and sleek, with well-implemented remote-control functionality, making it the best 7-inch Honeycomb tablet yet. 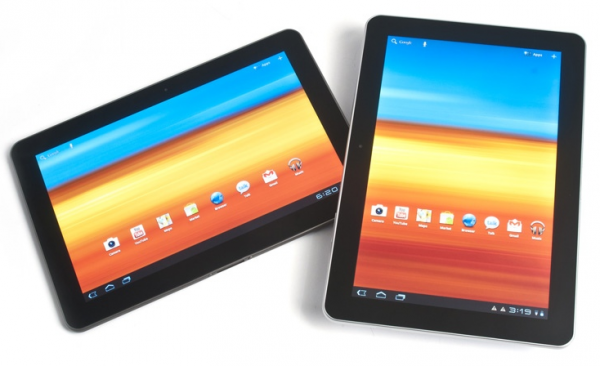 Yes, that’s right, they’re calling it the best 7″ Honeycomb tablet yet. 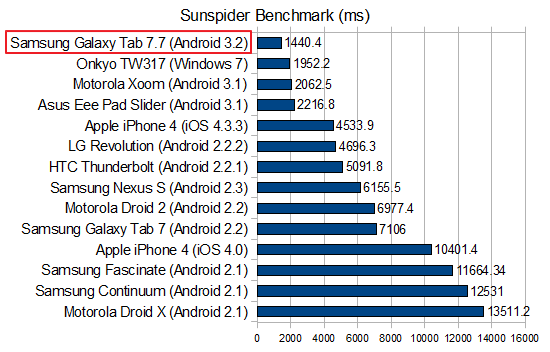 That statement may change once the Galaxy Tab 7.7 hits the market, but for the time being, it sounds like they were quite impressed. Still, there is concern with Honeycomb — the reviewer experienced “freezing, crashing, and hanging frequently in multiple apps”. Unfortunately, this seems to be the state of Honeycomb at the moment; this isn’t an isolated incident.